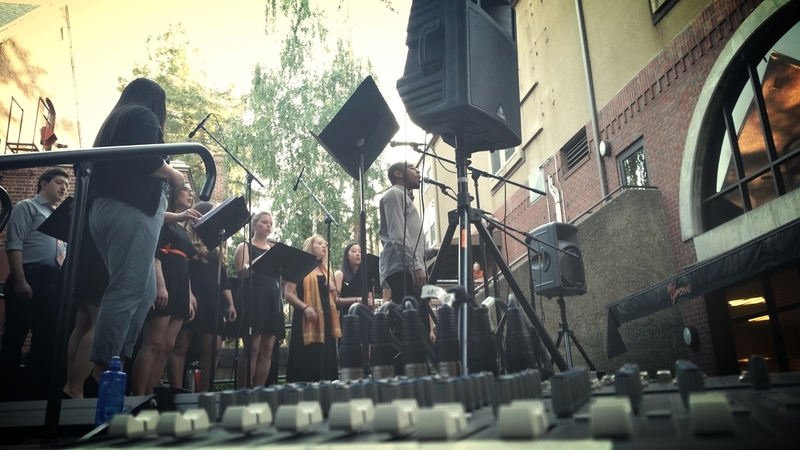 At the Owen Hall Recording Studio Open House, I spoke with benefactors of the studio to explain a little of what goes on in the studio, and what some of the current projects are. Luke Colbert (soprano), Chad Deacon (tenor), Jimmy Kraft (alto), and Chris Wentworth (bari), record a saxophone quartet piece composed by Luke Colbert. Drummer Eugene Harris in the studio, ready to track drums for the Soul Finesse compilation album. 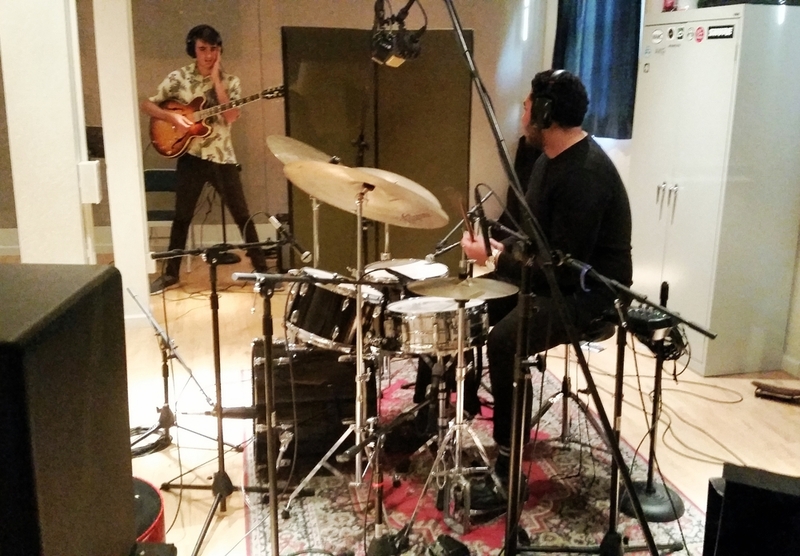 Brubeck Institute musicians Emmett Sher (guitar) and Timothy Angulo (drums) prepare for the recording of their annual fall EP, to be entered in the 39th annual Downbeat competition. Sopranos Arianna Morelli and Genessee Flynn lay down a vocal track for the Stocktones EP. The SSL4000 E/G console sitting in the control room of Fantasy Studios' largest studio: Studio D.
Working at Fantasy Studios, helping members of Snarky Puppy prepare for a Dunlop-sponsored video shoot in Studio D. View the finished video here. 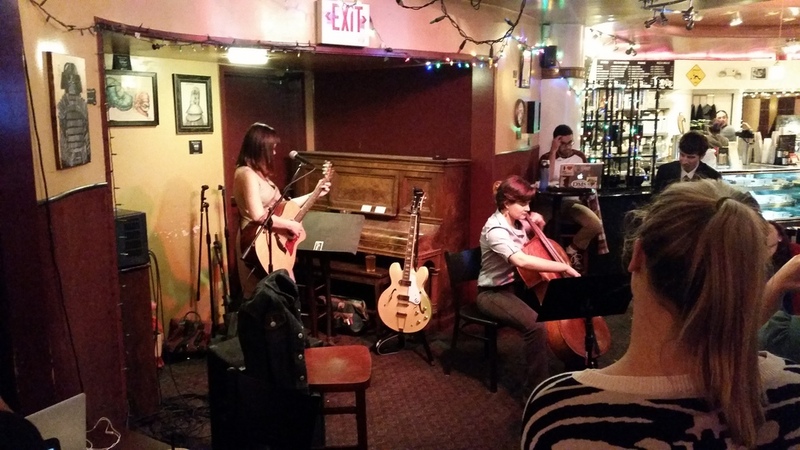 Running sound for Annela Flores, performing live at Empresso for her album release party. Running sound for the Pacific Stocktones, performing at their EP release concert, where physical copies were sold out. Recording the Beam String Quartet (Erin Wells violin, Brandon Dill violin, Adam Green viola, Marco Herrera cello) in the Owen Hall Recording Studio. Recording a ten-piece chamber ensemble performing a composition by local composer Nick Joven.